“When you run Disney, every mile is magic.” RunDisney is Disney’s endurance series that includes 5Ks to marathons, triathlons, adventure and road races. If you are a Disney fan, a running enthusiast or both (like me), then it’s an absolute must that you experience a runDisney race! 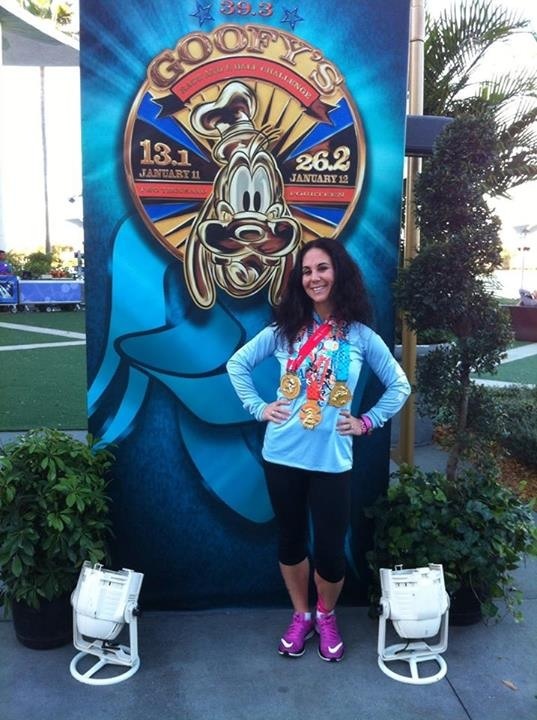 This past January 12th and 13th, I ran the Walt Disney World Goofy Challenge and a half. This challenge was part of Walt Disney World’s signature Marathon Weekend held this year on January 8th through the 12th. The weekend’s running events included a Family Fun Run 5K, the inaugural 10K, the Half Marathon (13.1 miles), and the Full Marathon (26.2 miles). The Goofy Challenge and a half combined running the half marathon on Saturday and the full marathon on Sunday, totaling 39.9 miles. 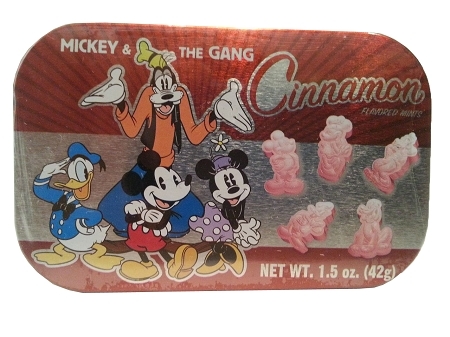 Named after one of Disney’s beloved characters, this 2 day challenge left me feeling a little goofy indeed! The Friday before my first race, I picked up my race packet at Disney’s Health and Fitness Expo located at the ESPN Wide World of Sports. This Expo was held from Wednesday through Saturday of the Marathon Weekend. Packet pick up was at the HP Field House and was fast and easy. Afterwards I headed over to the Jostens Center to visit the many wonderful exhibiters featuring plenty of running and Disney running gear, clothing, nutrition and even Disney special edition New Balance sneakers. 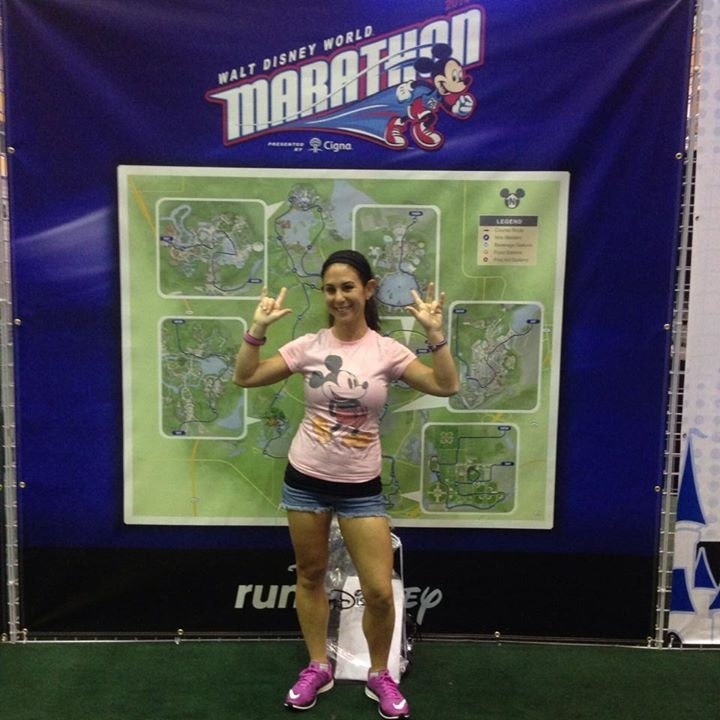 After purchasing “My Mom Ran A Disney Marathon” shirts for my daughters, a 39.3 Goofy Challenge and a half magnet for my car, some KT tape for my ankles, and a running Minnie Mouse airbrushed onto my leg, I was pumped up for my upcoming races. How did I expend some of the excess adrenaline I had flowing through my veins? Well, I was in Walt Disney World, so I went to Hollywood Studios and spent the rest of the day on the rides of course! The half marathon and the marathon, (as well as the 10K), have a very early, 5:30am start (the 5K started at 6:15am). Early, right? 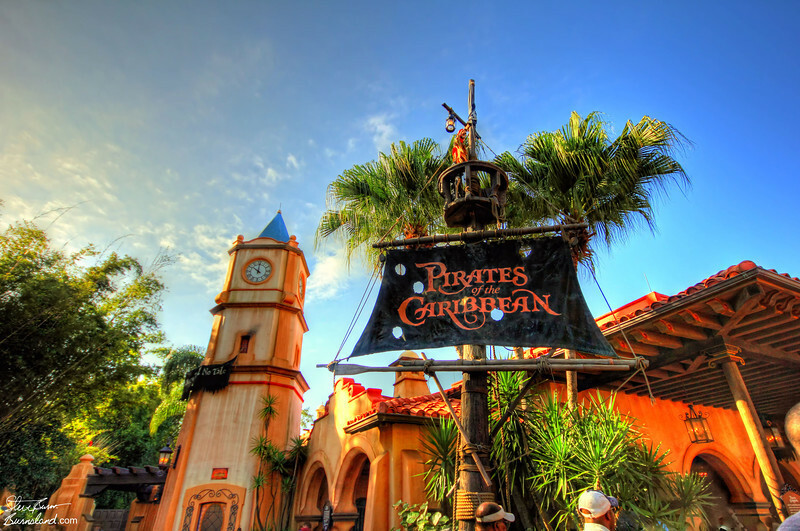 Its Walt Disney World though and the parks have to allow the non running folk in too, so an early start it was! Staying at Animal Kingdom’s Kidani Village, a Disney resort property, made getting to the races easy and hassle free. Special Marathon Weekend Transportation was available for all participants staying at Walt Disney World resort hotels. On my race mornings, buses started service at 3am. I was told to leave my resort early because buses become crowded with racers, so I caught the 3:30am buses on both days and was whisked away to the start zone at Epcot’s Wonder parking lot. It was early in the morning, but the start zone was jamming! After walking through security, I entered a party zone at 3:30 am! A DJ was spinning tunes, Toy Story green army men characters were posing for pictures, short lines for porta potties had formed, and tons of excited racers were milling about, many in Disney character costumes. On the marathon morning, I purchased entrance to a special race retreat area where prerace food and drink were offered, lounge areas with comfy couches were available, private porta potties were of use, and characters were present for special photo ops! The actual corrals, from where you start the race, were a 20 minute walk from the start zone. The walk was a great warm up for the race ahead and motivating as the moral of all the racers was high. There were 17 designated corrals based on your predicated finishing time imputed when registering for the race. With a 16 minute per mile maximum race pace required, these races had a ton of first time half or full marathoners. Once in my corral, I stretched and bounced around a little while listening to the DJ playing music. Close to start time, Mickey Mouse, Minnie Mouse, Donald Duck, and Goofy came out to cheer us on and count down the race. Each corral gets its own countdown and firework send off. It was truly amazing! For both the half and full marathons, I began running down World Drive towards the Magic Kingdom. I entered the Magic Kingdom through a side entrance, but soon was running down Main Street, towards Tomorrowland, then though Cinderella’s Castle. 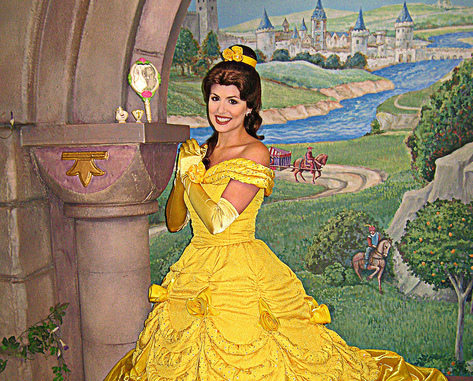 As I ran through the castle on both days, I was so overwhelmed that I cried. I couldn’t believe I was doing what I love so much, racing, in the place I love the most. What an amazing experience that I will always treasure! Once through the castle, I continued running down Frontierland and then out the park by Splash Mountain. For the half marathon, I raced the opposite way back down World Drive entering Epcot’s Future World, down through the World Showcase entrance and back, made a right at Spaceship Earth and then finished in Epcot’s Wonder Parking lot with Mickey and Minnie cheering me on. For the full marathon, instead of running towards Epcot, I ran to and then around Walt Disney World’s Speedway. This experience was truly awesome as I had never been there before and they had all the cars lined up along the speedway. Then I continued to the Animal Kingdom where the cast of The Festival of the Lion King greeted me. The park was closed to the public when I ran through, but I was told runners who arrived after the park opened, were riding Expedition Everest and then continuing on running the marathon. Only in Walt Disney World would you be able to do this during a race! I continued running towards the ESPN Wide World of Sports, where my name was announced on the loud speakers as I ran through Champion Stadium (your name is on your race bib). Motivated by a Toy Story green army man shouting encouragement on a megaphone by the side of the road, I completed my journey by running through Hollywood Studios, down the path to the boardwalk, and then through the World Showcase in Epcot to finish again in Epcot’s Wonder parking lot. Both races had a bevy of characters to stop, meet and take pictures with along the way. 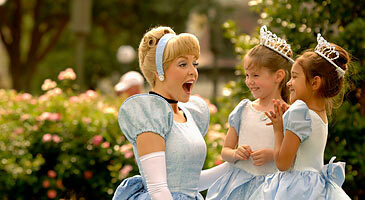 Some of these characters are rarely seen on a typical day at Walt Disney World, such as Flynn Rider and Maleficent. Music was pumping at so many places along both races; I never needed to wear headphones. There were 9 water/PowerAde stations for the half marathon and 22 at the full marathon. Both races had gel stations. The marathon had additional food such as bananas and candy give aways as well as a cool towel station at the ESPN Wide World of Sports. Finally there were medical stations every 2 miles along both courses offering medical attention if needed, as well as Vaseline and band aids. With all these stations and offerings, I felt like I ran two luxury races. Of course this is a Disney race, a runDisney race to be exact, and Disney always thinks over and beyond all of your wants and needs. Both races awarded medals to all finishers. For the half marathon, I earned a Donald Duck medal, for the marathon I earned a Mickey Mouse medal, and for completing both races I earned a Goofy Challenge medal. Three special medals that I will truly treasure forever. There were so many activities going on associated with the race as well. Kids races, where all kids under 13 years can earn a medal, Pasta in the Park prerace dinners in Epcot, Family Reunion Breakfasts after the races, a Race Retreat tent for runners before the race and runners and their families after the race, and an after race party in Downtown Disney were among the additional offerings over this amazing weekend. Although I did not PR on either race, these two races were my most favorite I have ever run. Why? Well I completed them in the happiest, most magical place on earth. Now I am addicted and am coming back for more. 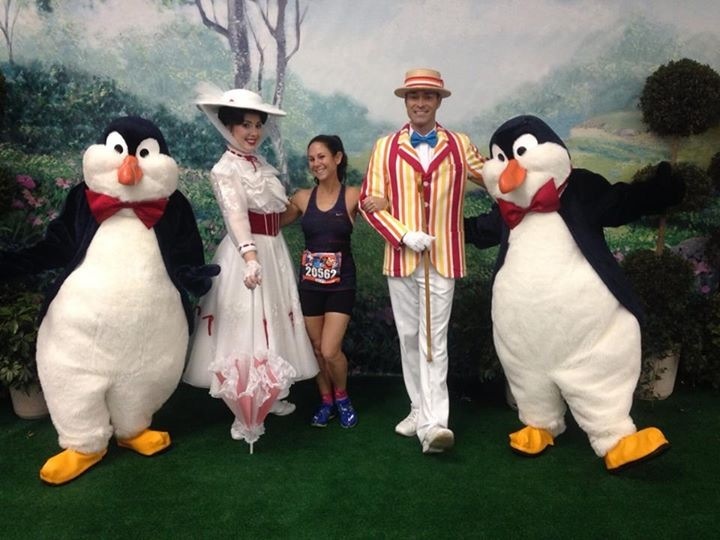 I am registered to run Epcot’s Wine and Dine Half Marathon in November 2014, and am planning to register for the Walt Disney World Glass Slipper Challenge and Disneyland’s Avengers Half Marathon in 2015. 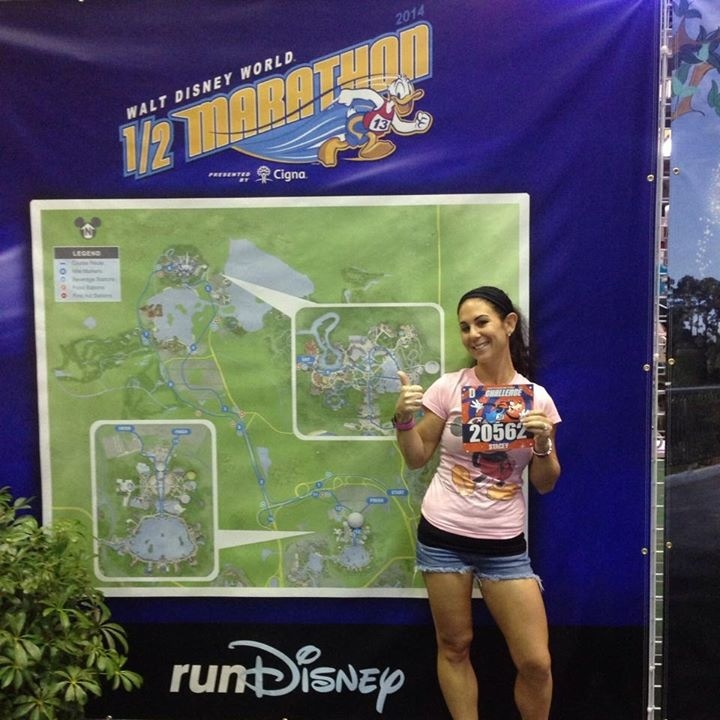 When you are ready for your first, or your next, runDisney challenge, it will be my pleasure to plan your entire race experience for you. Whether you want to run with friends or combine it with a family vacation, I will plan every detail so all you will need to do is remember your sneakers! So what are you waiting for, call or email me today! 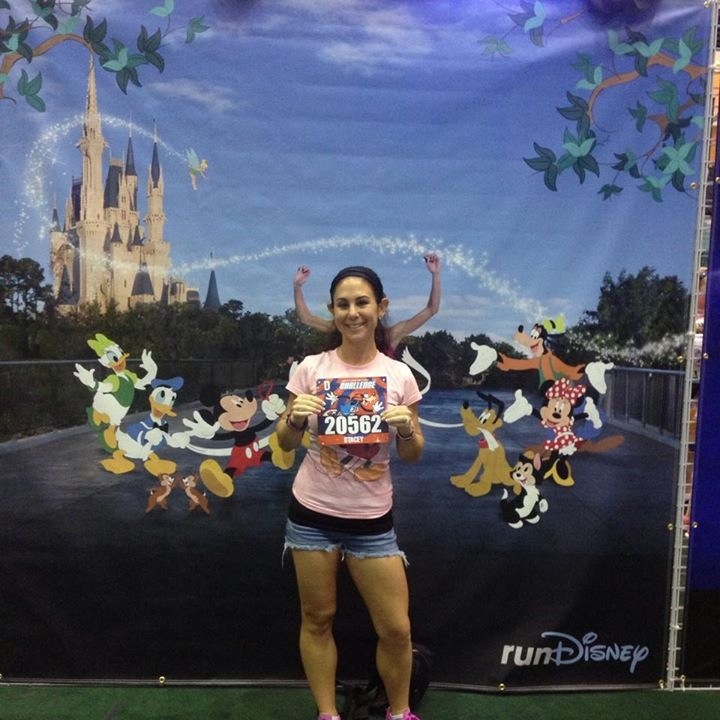 Running and Disney…two things that I absolutely love. The feeling that I get after a great run and the feeling that I get when I think about Disney are emotions that I can barely describe! Last Spring I decided that I was going to combine these two loves and sign up for a RunDisney race. What better high than running a race in DISNEY WORLD! So being a HUGE fan of the Disney Villains and Halloween, I chose the Tower of Terror 10 Miler as my race. Early October (5th to be exact), nice weather, Halloween at the parks, PERFECT! Sure, it’s a race that starts at 10pm, not your conventional time to run any distance, but this is in Disney World AND there was a Disney Villains Hollywood Bash Party at Hollywood Studios until 4am when the race was finished. Enough motivation for me. 10pm? No problem. I got my sister on board and we booked our trip and made it a girl’s weekend. And now…the waiting. It seemed like an agonizing 6 months until we finally were boarding the plane and arriving in sunny FL! We boarded the Magical Express to our resort and I quickly got thrown into the hype of the event! Super exciting!